Ready, Set, Lift with Your Head is a manual materials handling educational seminar designed to teach employees and managers safe and proper lifting techniques and procedures - a safe lifting training course. 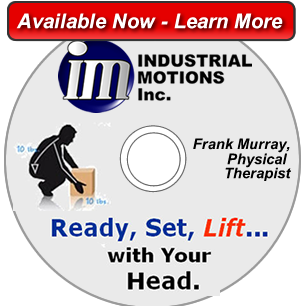 Frank Murray, MSPT is an industrial injury prevention expert and has been been teaching safe lifting techniques and procedures for over 12 years. 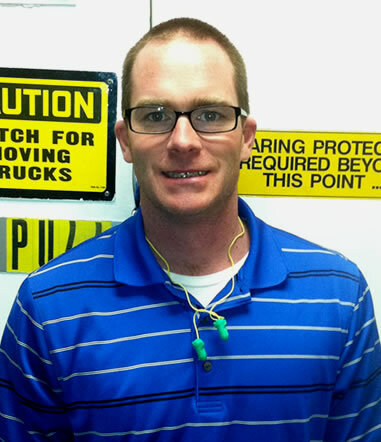 He has designed and written the "Ready, Set, Lift with Your Head" manual that has enabled some industrial facilities to reduce workplace injuries. The Goodyear Fayetteville plant reported a 45% reduction in sprains/strains from 2011 through 2012 related to lifting objects on the plant floor. This led the company to implement the same program in their Ontario plant with similar results. The "Ready, Set, Lift with Your Head" safe lifting training seminar enables your workers to make smart decisions regarding Lifting, Pushing, and Pulling, Bending and Reaching. Our philosophy is that the material being handled does not cause injuries, but that the way a person handles the material is what increases the risk of injury.